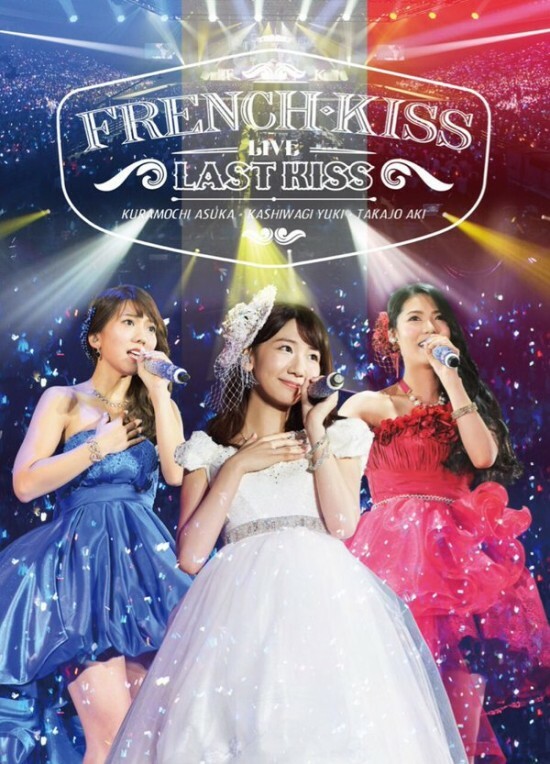 French Kiss last concert 「French Kiss Live ～LAST KISS～」 will be released on DVD and Bluray on April 20, 2016. Info of the DVD/Bluray contents is below. 6. Kakko warui I love you! Bluray: Multi angle camera version of IF and Omoidasenai Hana performances. The IF performance has group angle and Yukirin solo, Akicha solo and Mocchi solo camera angles. For Omoidasenai Hana, there are Yukirin solo, Akicha solo and Mocchi solo camera angles. In the Bluray, the subaudio of each member is also included. DVD: Multi angle selected version of IF.